We’ve been sitting on this for a while now and the time has finally arrived. Loyal Uimi fans get ready because the 2016 Winter Collection can now be revealed. This winter, Uimi is embracing the desire to retreat and get cosy and have aptly named their latest collection, ‘Hideaway’. Seriously, that sounds so inviting right about now! 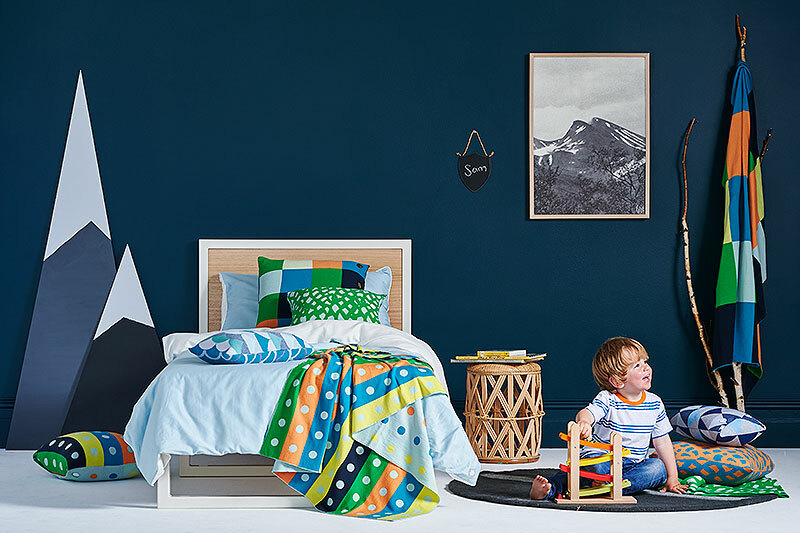 Drawing inspiration from the 1970s in the textures and tones, we’ll see rich and moody colours in the home range and a vintage spin on traditional colours in the Kids’ Collection. I am loving the modern Uimi interpretation of the iconic patchwork, crochet and scalloped edges of the era. 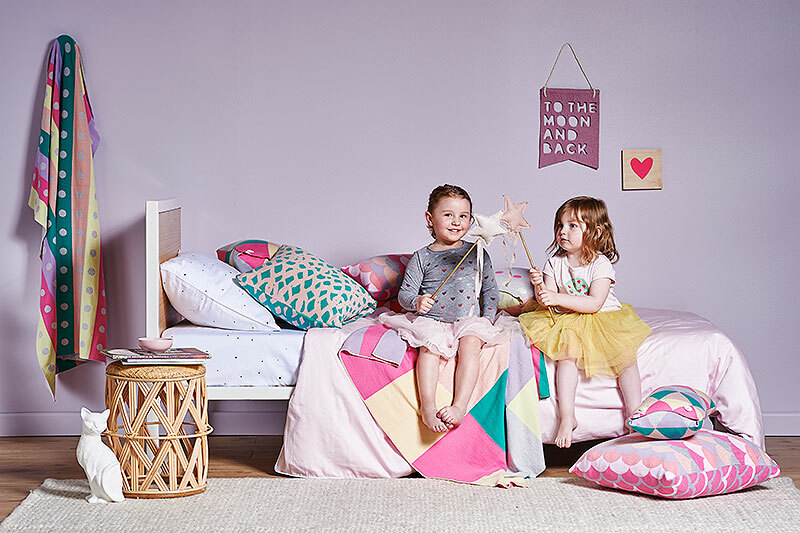 The colours in the girls range have just the right balance of modern fun and vintage cosiness. The simple patchwork blanket is sure to become a favourite in many households when the cold weather hits; and what a great gift! Boys will love the colour palette Uimi has served up for them. 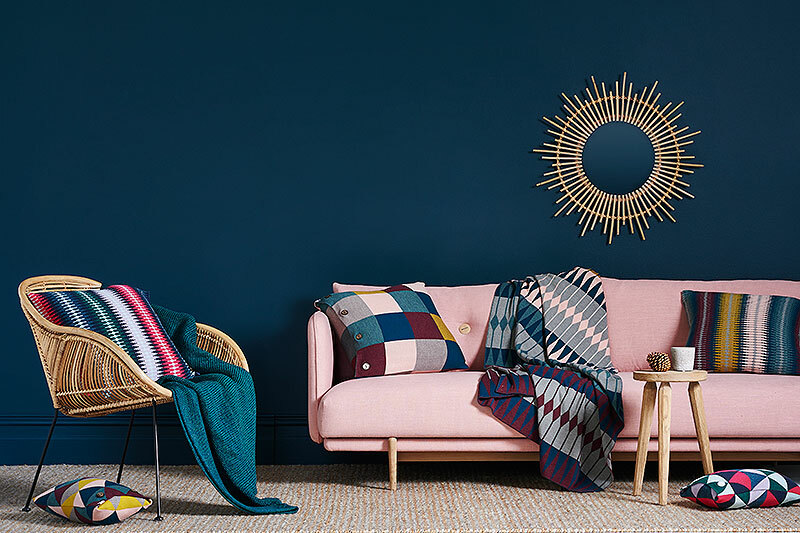 A midnight blue feature wall might well be your next project, just to make those gorgeous hues and patterns pop in all the right ways. Of course, Uimi continues to leap over that high bar they have set for themselves with all products designed and manufactured in-house at their Melbourne knitting mill from locally sourced Australian Merino and baby alpaca wool. The ‘Hideaway’ collection will be hitting Uimi’s online store any day now, so keep your eyes peeled.